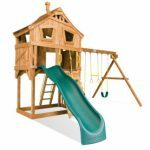 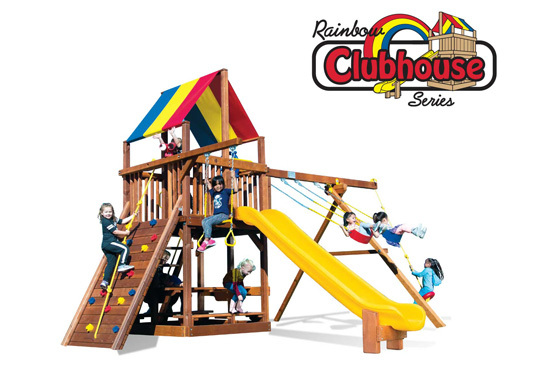 Rainbow Clubhouse | Why Select The Clubhouse Series? 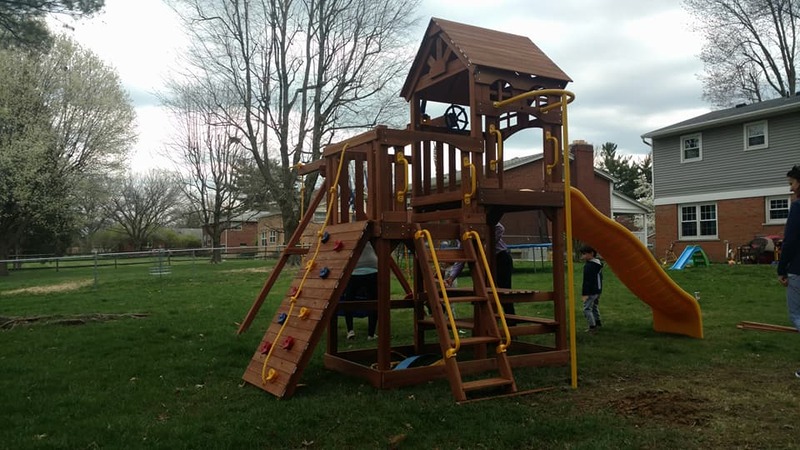 Cincinnati Families Love the Rainbow Clubhouse! 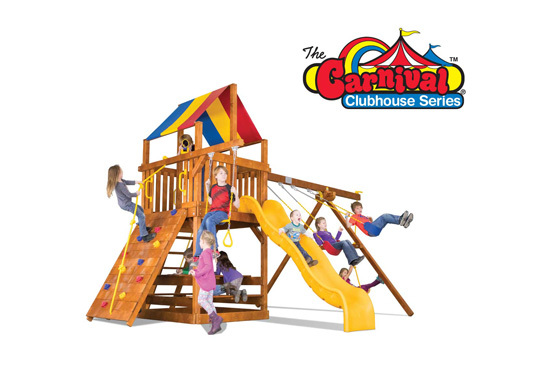 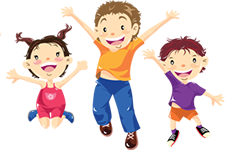 The Clubhouse is the ideal solution for families with smaller yards who don't want to sacrifice any of the fun of a Rainbow Play System. 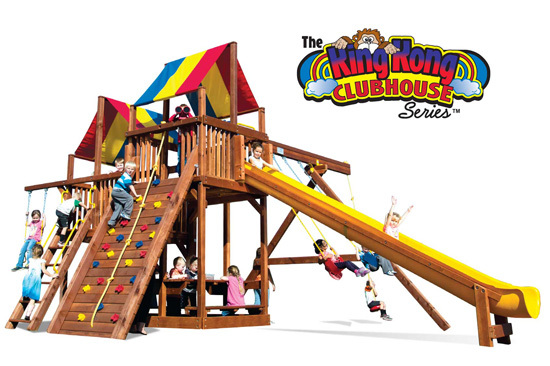 What makes the Clubhouse unique? 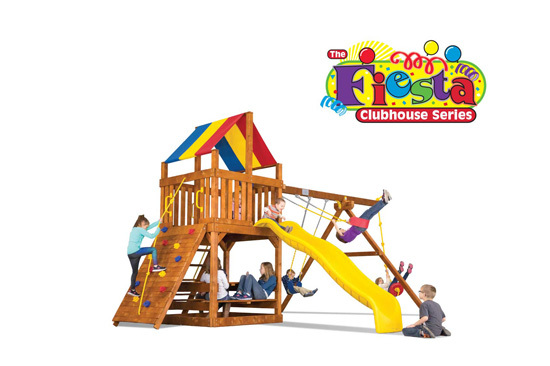 Big Savings on Closeout Clubhouse Models! 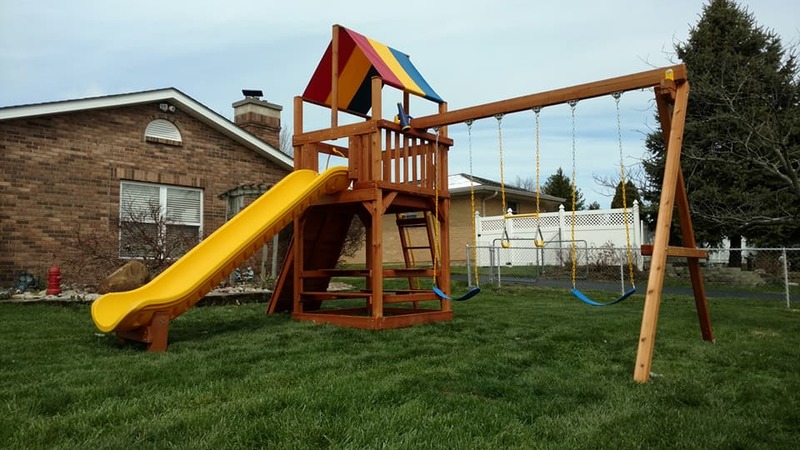 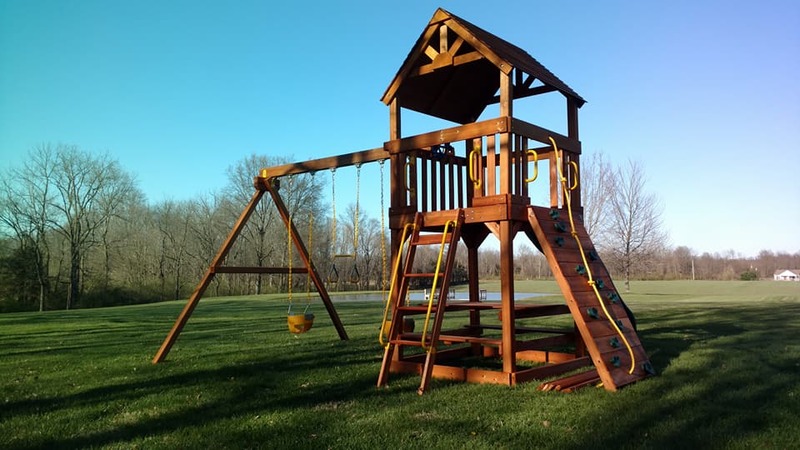 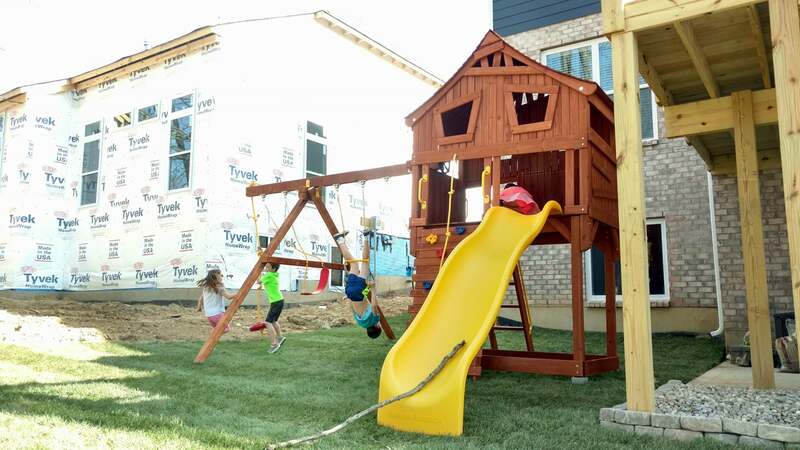 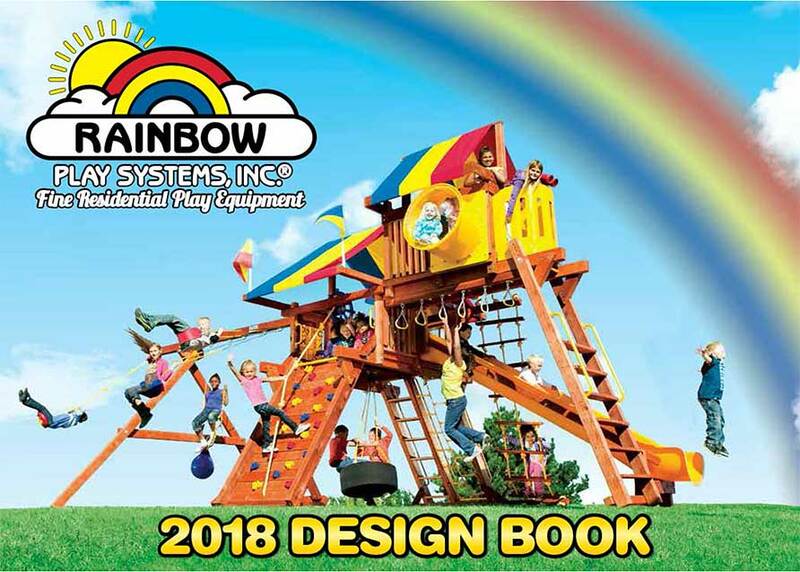 View the complete 2018 Rainbow Play Systems catalog to see the wide variety of models and accessories available. 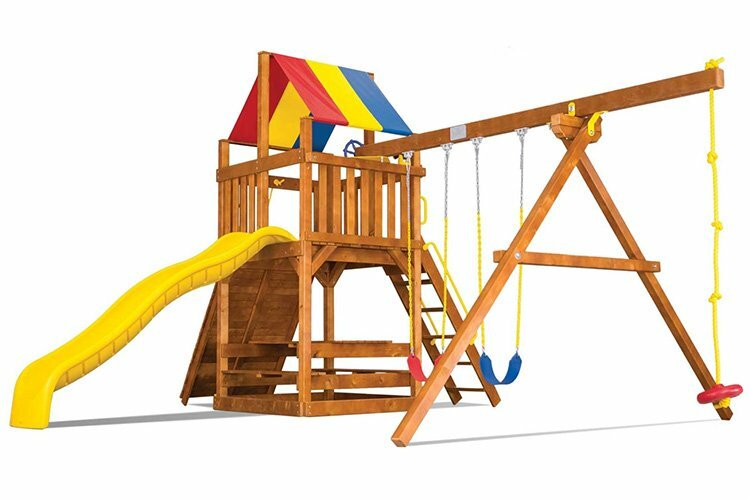 Deck Height 5'2" 5'6" 5'10"
Deck Height 5'2" & 7'2"